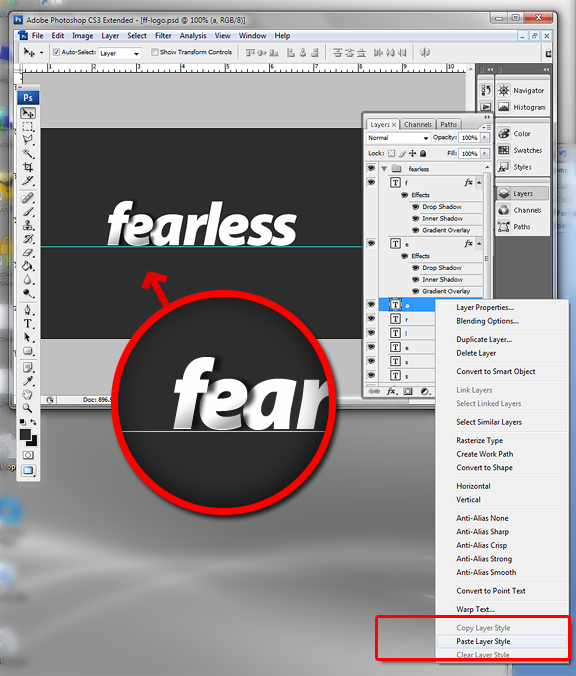 If you choose not to follow this tutorial, you are also free to download PSD file from this link. How cool is that! Add a dark background (I chose #292929), add a text layer and type out your words. The text settings are: 100 pt in size, color #ffffff, and type is “Myriad Pro – Black Italic”. Note that if you don’t have the same font – use something a similar italic, block type font. 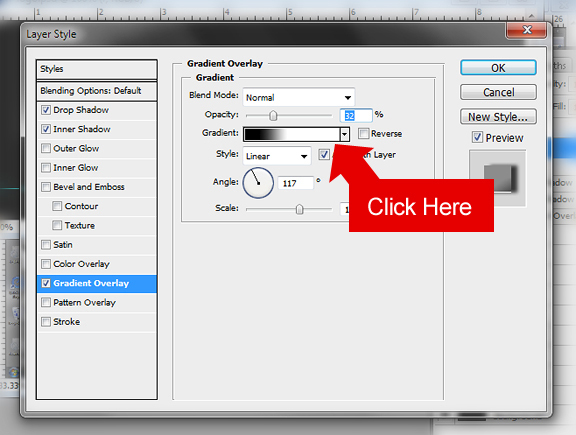 Add the following colors for the gradient (to do this click the gradient box from above). 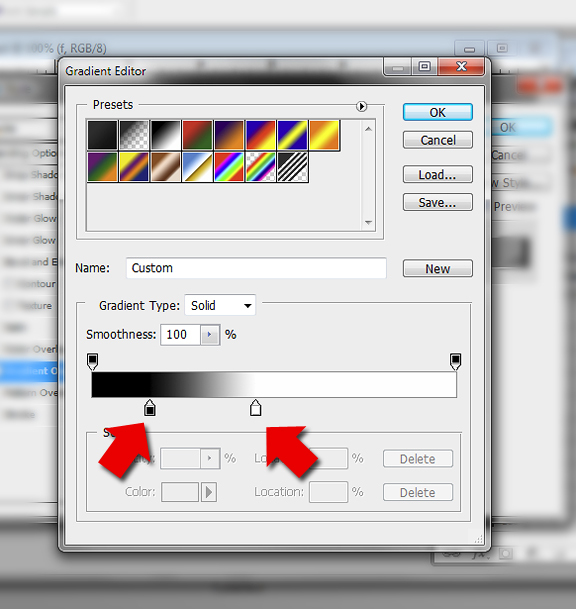 Move the color handles in the bottom bar to the position indicated. Leave the colors at #000000 and #ffffff. Continue doing this process to all the layers. 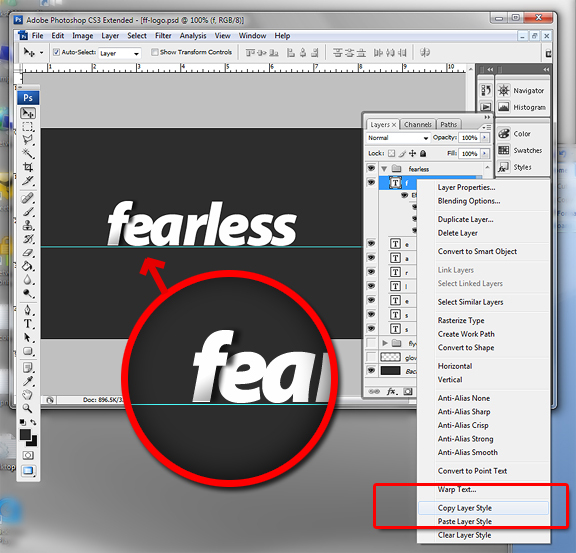 Adjust your letter positioning according to your text content. The point is to just have enough spacing for subtle shadows to appear onto the next letter. I also decided to change the font color to the word “flyer” to #d30000 to match my color schema – choose your own color for yours. 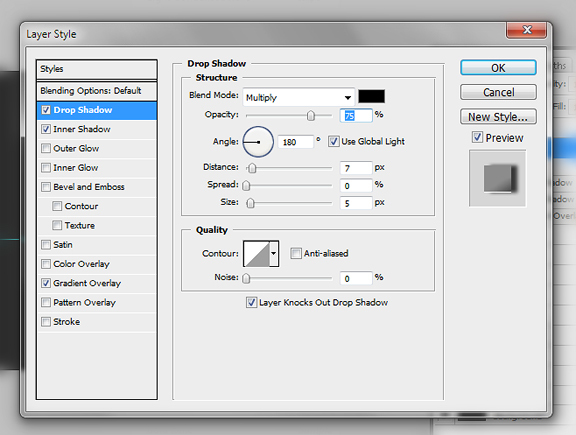 Finally, create a new layer just above the background layer. Using the brush tool with these presets: (choose a really soft tip, adjust to 300 pt, with color #ffffff, opacity level to 24 percent). 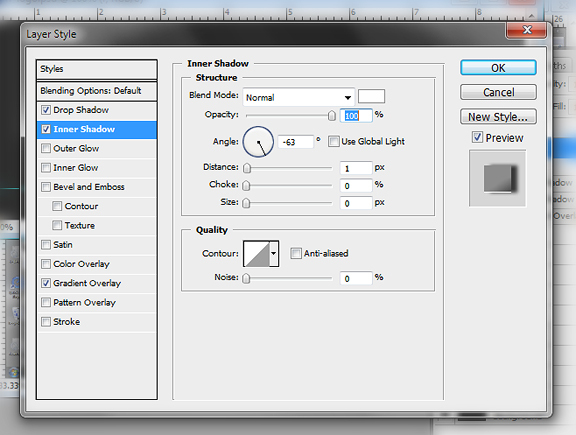 With just one click – daub right in the center of the document to give it that really soft glow in the background. There you have it, a simple yet beautiful logo from nothing more than layers of text subtly overlapping each other. Play with the effects to your heart’s desire. You can even adjust the vertical positioning of each letter – just to add a bit more kick. Feel free to Download the PSD file. Nice one always love a good photoshop tutorial. Defintiely need the practice myself! Thanks for giving away the secrets and sharing your valuable knowledge. 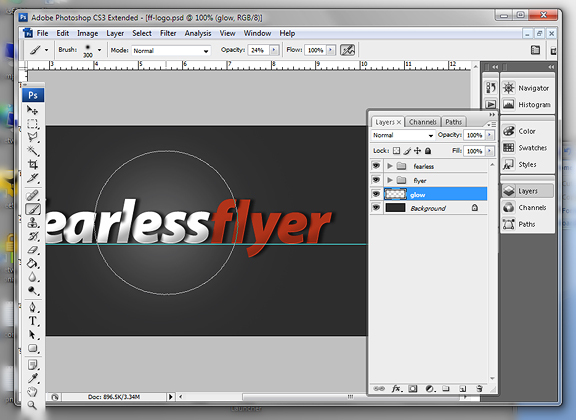 I would love to follow a new logo design tut in illustrator. A video would be great. What you say ? The first thing I noticed in your website is your logo. Your logo is simple but cathes eyes and easy to remember too. One of the best choose by me. Thanks for give us this. I have really like this tricks. I am starting to learn Photoshop because it is of essence especially in maintaining a website. Banners and headers are a headache if you do not know PS and it’s wasting so much job opportunities. “Now, delete all the letters in your text layer and duplicate the layer for each letter.” This part is really confusing. one of the tutorials for me ! Thank you, i’ve done it in AI files, though the styles got different styles but i liked it .. Thanks, bro! I have just walk through your tutorial, even if i am not good at Photoshop, i have done it. I guess, i am gonna use this logo for own blog, too. Thanks again! Brother, Its Really Nice & Pretty…….. Thanks for Share With Us……….